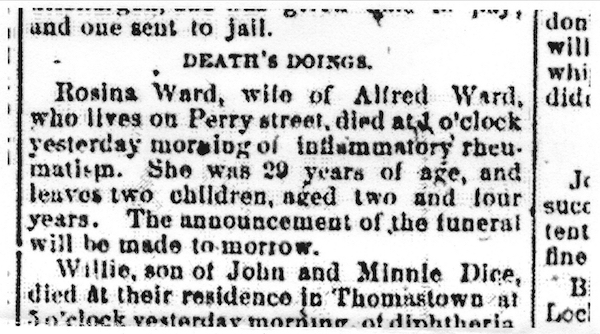 Rosina Ward, wife of Alfred Ward, who livs on Perry street, died at 1 o’clock yesterday morning of inflammatory rheumatism. She was 29 years of age, and leaves two children, aged two and four years. The announcement of the funeral will be made tomorrow.